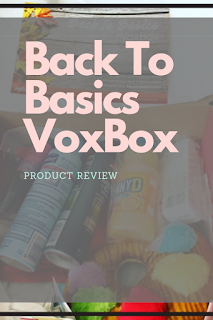 I was one of the lucky people that were chosen to receive the Back To Basics VoxBox from Influenster. I received these products complimentary in exchange for testing and my opinions. 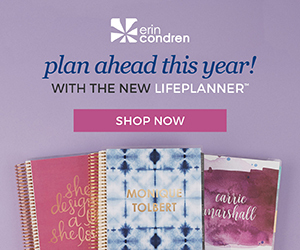 Are you familiar with Influenster? Influenster is an online community of bloggers and sample fanatics. They have an online reviewing platform that is comprehensive. Once you sign up, you answer a bunch of questions about you and what you like. Then Influenster sends you different things to try that are tailored to your likes and concerns. 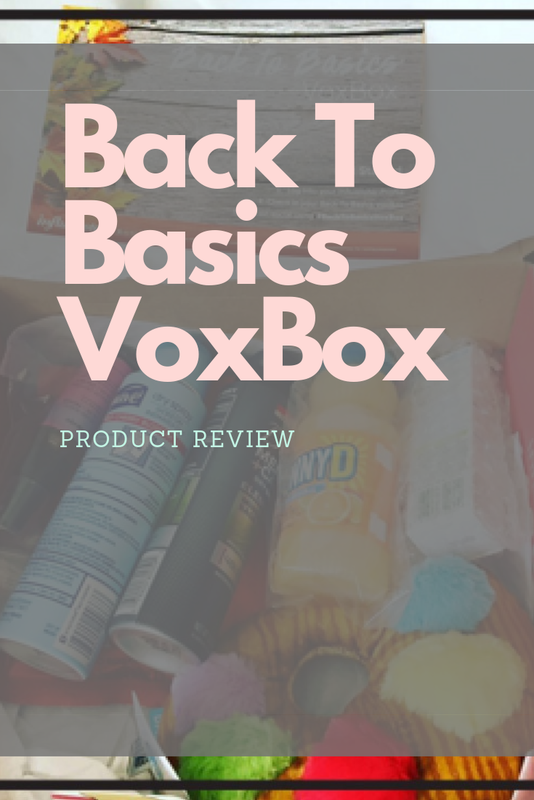 The 'Back To Basics' VoxBox contained a few things that I have tried before and a few that were new to me. I had already tried the classic Sunny D, Eva-Nyc's Mane Magic 10 in 1 Primer and had a subscription to Bark Box. 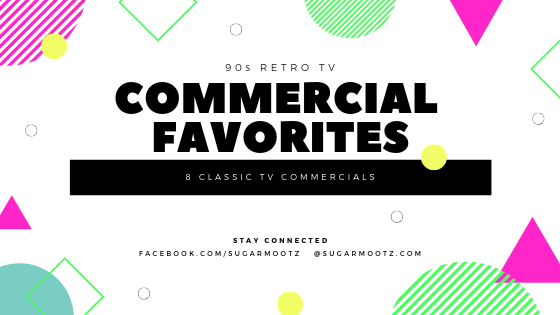 However, Suave's Cherry Blossom Deodorant, Dove's Men's Care Deodorant, Crisp Green Apple Chips, and Simple's Hydrating Booster were all new products to me. Suave Wild Cherry Blossom Spray Antiperspirant Deodorant: This deodorant is a dry spray that lasts 48 hours. It totes a claim that it dries instantly but I don't agree with that. It does dry rather quickly though and it lasts a long time. This particular scent isn't for me (very sweet) but the overall protection was impressive. My biggest complaint about this product was the scent. I would definitely consider buying this but in a different scent. Dove Men's Care Mineral + Sage Spray Deodorant: This one I passed off to my man for his review. He was happy to report that it kept him dry and smelling great all day. Unlike the women's deodorant, this one DID dry instantly. I highly recommend this scent that is very reminiscent of men's cologne. This also sprayed on clear and didn't transfer onto clothes at all. I even sprayed it on my arm and tried to wipe it on a black shirt. Not even a single mark!!! This one really impressed me. Sunny D: Can you can think back to what Sunny D tasted like in the 90s? It tastes exactly the same right now. Not quite orange juice and not quite a soft drink. 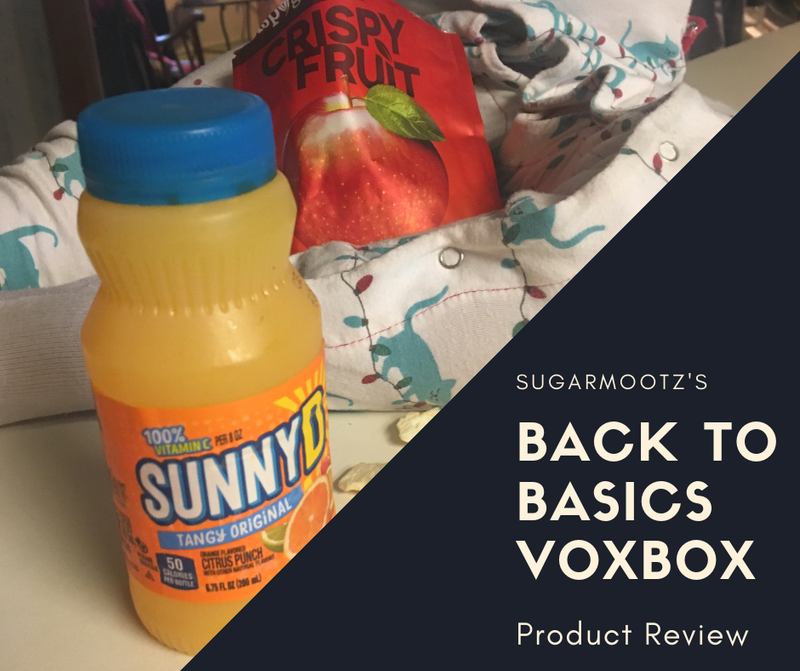 I was sent the "Tangy Original" Flavor and it was definitely tangy! This drink will probably always remind me of being a kid so I really enjoyed this little snack sized drink. 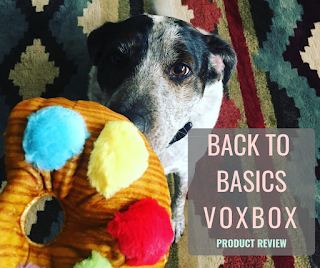 This citrus fruit drink is delicious and still contains 100% vitamin C.
Bark Box Painter's Palette Dog Toy: Bark Box is the greatest thing to ever happen to dogs. It's a monthly subscription box for your dog. The box is loaded up with treats, toys, and chews for your favorite furry friend. In this VoxBox, my dog was sent a really cute painters squeak toy. The toy was great quality and even held up in the washing machine. I already had a Bark Box subscription so I was familiar with their excellent quality. My dog has never disliked anything from her Bark Box. If you are interested in trying Bark Box, use my referral code: http://www.barkbox.com/r/M3CJ67Z5FF For each person that you refer, you get a Bark Box for free! Your dog will thank you. Crisp Green Apple Chips: These tasted great and my toddler absolutely loved them. My favorite quality about this product is that it only contains 1 ingredient. I like snacks that are simple and healthy. These apple chips fit the perfect mold of being simple, healthy and doesn't contain added sugar. My only complaint is that its made in China. I would have liked it to have been made in the USA but this product still gets five stars from me. Eva-Nyc Mane magic 10 in 1 Primer: I have received this product at least 4 different times this month and I am NOT complaining. This primer has completely changed the overall texture of my hair. You spray it on your damp hair, right out of the shower and then brush it through your hair. 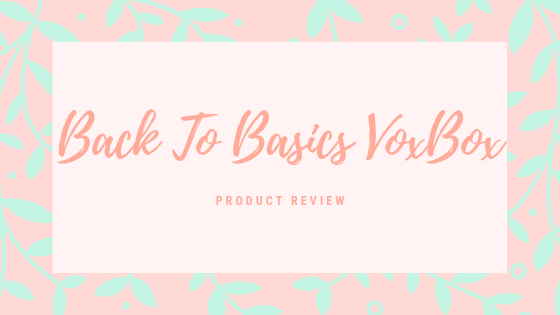 This product does an entire list of things like defrizz, strengthen, nourish and repair. My favorite part about using it is that it cuts your hair drying time in half. It's just an added bonus that it protects your hair from heat. I think Costco runs a pretty good deal on this product too. Simple Hydrating Booster: This 'hydrating booster' arrived just in time for my winter skin. You can either apply this before your moisturizer or mix it in with your moisturizer. I chose to mix it into my moisturizer and I really liked it. My forehead gets really dry in the winter and this smoothed out my skin well. I had an overall good experience with this product but it felt like an unnecessary step. I don't think I would get good use out of this product. However, if you get really dry in the winter and don't want to completely switch moisturizers, then this could work for you. If you liked this review then check out my review of L'Oréal Revitalift Triple Power that I also received from Influenster. It is a very presentable post and looks like a post. Recently I am seeing your blog, this is the great concept good explanation. Thank you for your efforts. "Great post, thank you for the useful information. Keep up the good work! FYI, check this out: Ritual Vitamins Review for Women"
Let me keep you updated!